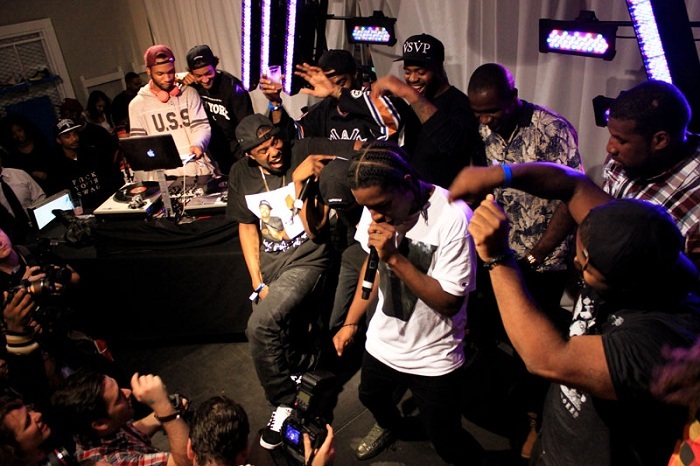 "A$AP Rocky performs Goldie at the Soho Adidas store in NYC 09/13/12". He is known for his trendsetting style and love for designer labels, but he's done dropping names on his songs. The Harlem rapper belongs to the most talented of his generation. His single "Goldie" was originally just named "Crystal" after the champagne.